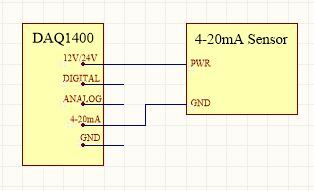 If you have a sensor that requires more than the typical 5V, this option allows you to generate a 12V or 24V power supply. 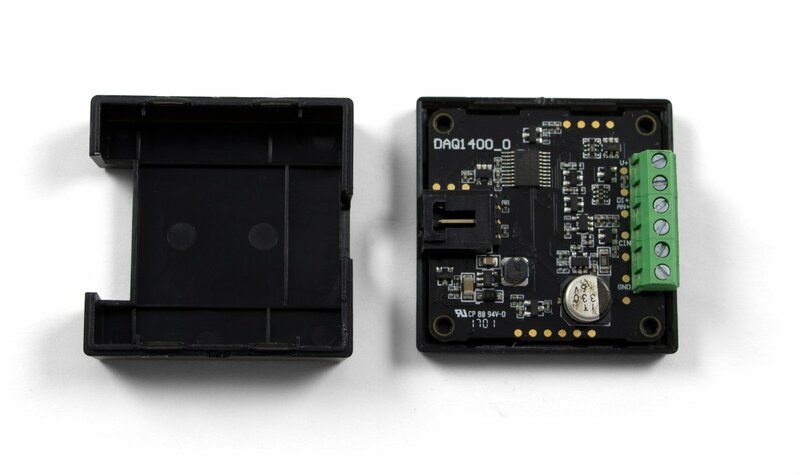 This power is supplied directly through the VINT port with no need for an external power supply, cutting down on messy power wiring. 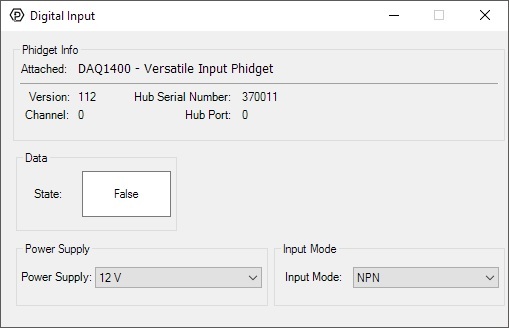 You can also turn the power off through a command in your program as a power saving and control feature. 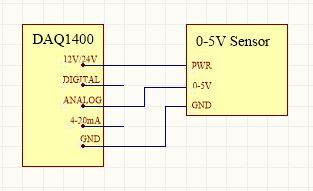 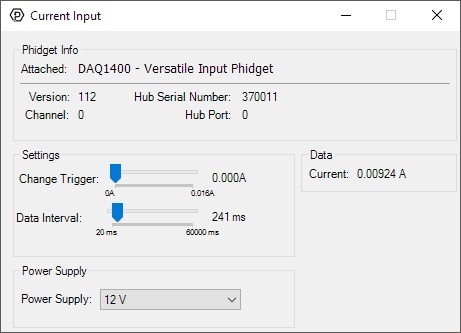 Similar to a VINT port opened in VoltageInput mode, this input will read in a 0-5V signal from a 5V sensor. 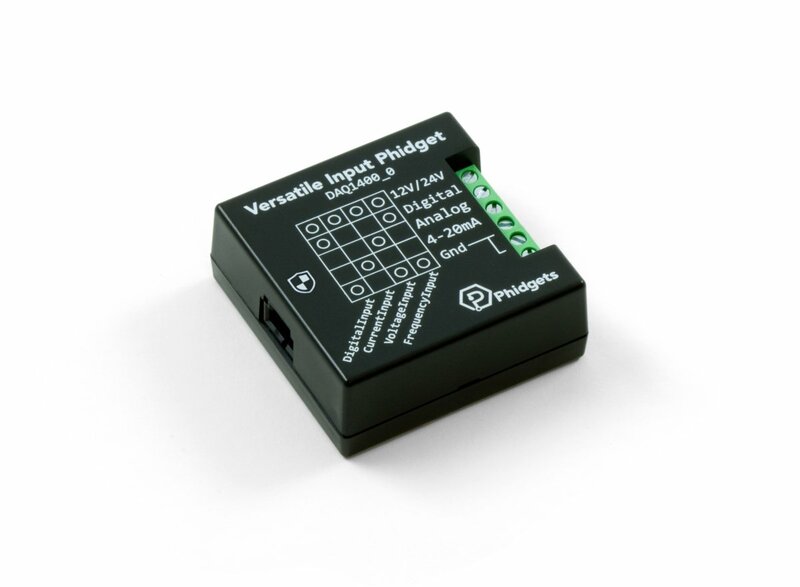 This input is included primarily for industrial sensors that require a 12V or 24V supply, but still return a 0-5V signal. 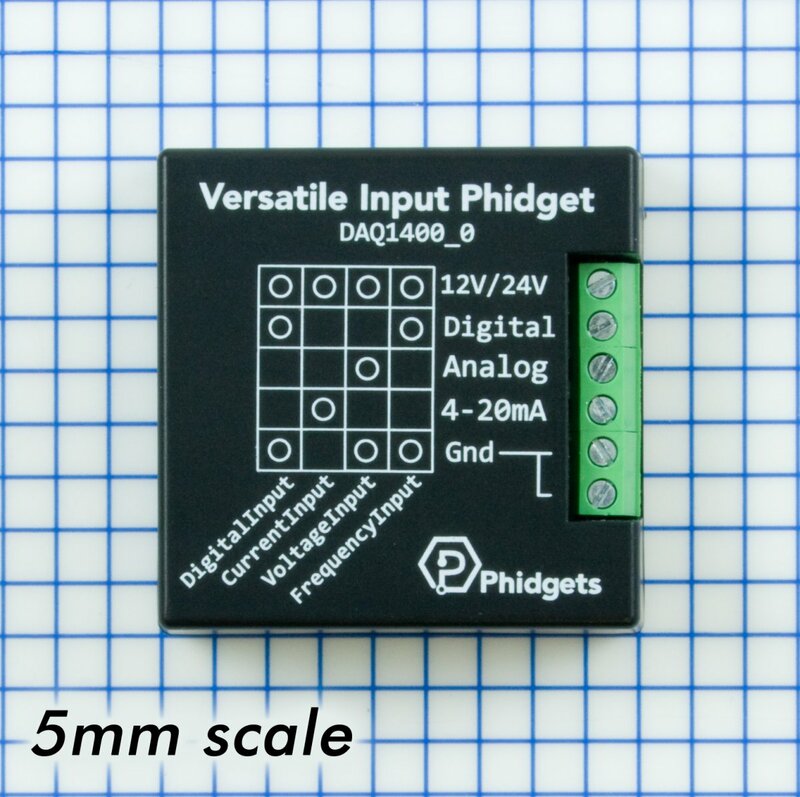 This input, however, does not support ratiometric sensors. For sensors that only require 5V power, you can just use a VINT Hub or InterfaceKit. 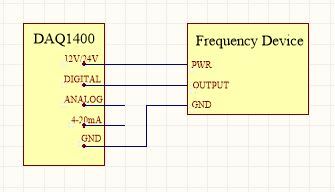 This input can interface sensors with a 4-20mA output. 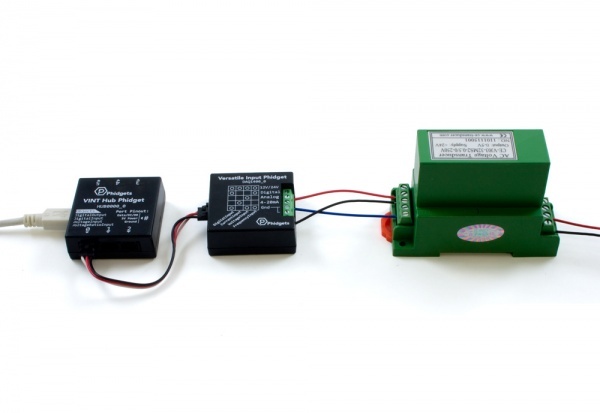 These sensors are often used in applications with long wires where a voltage signal would normally drop off due to line resistance and be susceptible to interference. 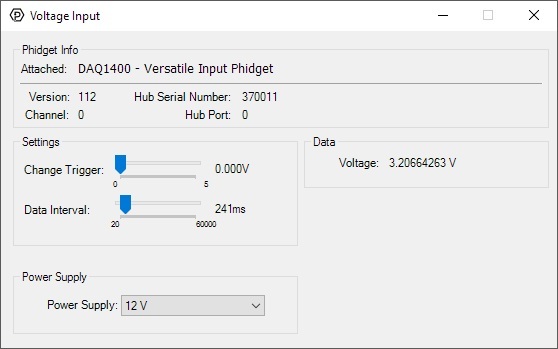 You can also use this input to measure small currents in a circuit, but only in the range of 0.5 to 20mA. 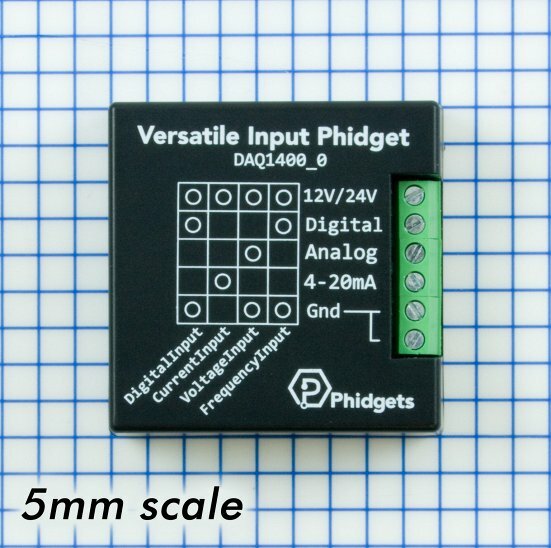 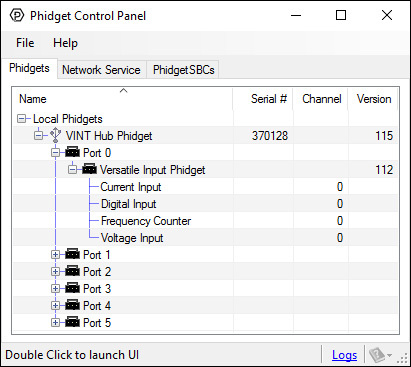 Do you have a sensor that outputs a frequency signal, or do you need to count the number of logic-level pulses on a line? With this input, you can count pulses and measure the frequency being output by your sensor up to a maximum 1 MHz. 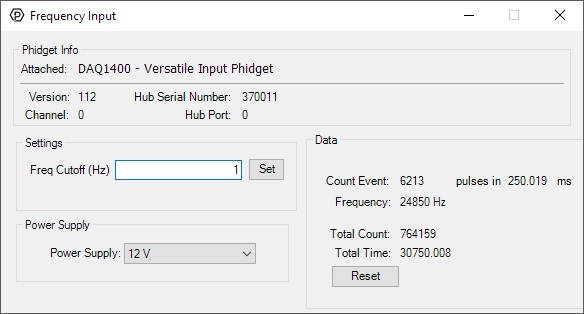 You can also select a cutoff frequency in software to determine when a frequency is considered to be 'zero'. For a sensor with a simple output that switches to logic high (PNP), or switches to ground (NPN), this input provides a 10 kΩ internal resistance to pull the line down or up, respectively.